There’s often confusion about the merits of joining the variety of airline Frequent Flyer programs on offer to New Zealand travellers. So, how do you accrue points, what are the benefits and is there really such a thing as a free trip? 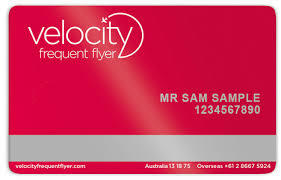 WHAT IS A ‘FREQUENT FLYER’? A frequent flyer program is a loyalty program offered by most airlines. Typically, airline customers enrolled in the program accumulate frequent flyer miles (kilometres, points or “dollars”) corresponding to the distance flown on that airline or its partners. The primary method of obtaining points is to fly with the associated airline. Most larger airlines around the world have frequent flyer programs with a myriad of names, policies and restrictions regarding joining, accumulating and redeeming mileage points accrued. Each frequent flyer program will allow you to earn miles once you’ve flown with them. 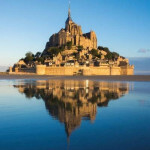 They may also allow you to earn miles with other alliance members from Star Alliance, One World Alliance and Skyteam. Award miles can be saved and used for a number of rewards including free flights, hotel stays and experiences.Frequent flyer programmes can differ in terms of what they are called, their policies, conditions of entry (there can be restrictions to joining), cost of entry (some charge a joining fee, some don’t), how credits are accrued and how credits are redeemed. IS IT WORTH SIGNING UP FOR A FREQUENT FLYER PROGRAM? All airlines accrue points at different rates and for different fare types, for example, if you are travelling on an heavily discounted fare you will earn fewer points a full fare would earn (possibly only 25%) – but be aware, some of the cheapest fares don’t earn any points at all! In general, the best deal is if you fly and join the one airline and its program and stick with them. You will accrue points with an airline’s ‘partner airline’ but never as much as if you travel on the actual airline of your chosen frequent flyer scheme. All airline frequent flyer programs have mileage calculators on their websites that can calculate miles earned and tell you how many miles you will require for a trip. Many airlines are in an alliance with each other so you can earn points while travelling on a different airline; some airlines allow you to earn points while using your credit card, using certain hotel chains and rental car companies, and some retail outlets. Most airlines allow you to use your points to upgrade a confirmed economy class ticket to premium economy or business class – there are many conditions with this (you may need to start with a higher economy fare!) but very nice if you can get it. Some airlines offer the option to transfer your miles between friends and family members or to purchase more miles to top up your account if you don’t quite have enough for a reward. HOW DO I USE A REWARDS SYSTEM WHEN BOOKING A HOLIDAY? It is the traveller’s responsibility to let us know their frequent flyer membership numbers when they ask us to make their travel arrangements. We will always ask you, and if you have provided us with your numbers we keep them on record but we still recommend that you keep your boarding passes from your trip until you can see that the flight sectors have been credited to your account. Keep in mind that most frequent flyer points expire at some stage; and 3 years is usually the maximum before they start to drop off. The airline will require some activity on your account for the points to remain valid. This activity depends upon the specific programme, but things like using your points for an award, making use of the services of a partner company or, of course, flying with the airline will normally keep your frequent flyer points fresh. Some airlines charge a joining fee (usually $50), some offer their program free of charge so check with each provider as they change – current fees are indicated below. WHAT IS A TIER SYSTEM? All frequent flyer schemes have a tier system – the more you travel and earn points the higher you are on the tier and the more benefits you receive – for example, additional baggage allowances or airline lounge access. Let’s look at four main frequent flyer programs that our clients are members of. The first three offer short-haul (trans-Tasman & Pacific) flight services, which is probably as far as most of us are going to get on our frequent flyer points. Air New Zealand is a member of the Star Alliance network of airlines. Airpoints Dollars is Air New Zealand’s frequent flyer program currency. There have been recent changes to the scheme explained here. You can earn Air New Zealand Airpoints Dollars and Status Points on all Air NZ operated flights (except grabaseat fares) and many Star Alliance flights. The Status Points you earn will count towards your tier status. Air New Zealand also has a number of other airline partners, for example, you can earn Airpoints dollars on Air New Zealand flight numbered flights up to Hong Kong even though you are travelling on a Cathay Pacific plane. This is also true for flights on Virgin Australia, Virgin Atlantic & Etihad Airlines. On the ground, you can earn Airpoints Dollars by using an Airpoints credit card, shopping at Fly Buys partners (you must decide between Flybuys OR Airpoints), and with hotel, rental car and many more Airpoints partners. A discounted return fare from Auckland-London-Auckland earns up to 180 Airpoints Dollars (A$) – the Airpoints dollars once earned are equal to our dollar so the London trip will give you A$180 to put toward your Sydney airfare, or possibly a one-way ticket to Wellington or Auckland! If you are an Airpoints member and planning a trip to Europe you may wish to read our guide here. Don’t get too hung up about how many Airpoints you’ll earn by flying on a Star Alliance partner – as it’s not many – for example only A$114 return to London and back on Singapore Airlines. You can also use your Airpoints to apply for a one-class upgrade – e.g from economy to Premium Economy using the OneUp scheme and the airline still offers Recognition Upgrades to Elite members. Air New Zealand and Singapore Airlines are both members of Star Alliance and have reciprocal frequent flyer programmes in place. Airpoints members will earn Airpoints Dollars and status points based on on the Air NZ flights table when travelling on flights ticketed and operated by Air New Zealand. For Airpoints members travelling on Singapore Airlines flight numbers (e.g. SQ285/SQ4281) or NZ flight numbers operated by Singapore Airlines, they will earn Airpoints Dollars and status points based on the Airline Partner earn chart. SilkAir is not a member of the Star Alliance, however when ticketed as part of an Air New Zealand fare, Airpoints Dollars can be accrued. SilkAir flights are not eligible for status points, even if it is booked on an Air New Zealand flight number. 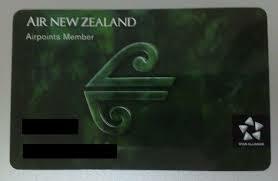 Koru membership is an exclusive Air New Zealand programme and as such members only receive benefits on NZ ticketed and NZ operated flights. Standard baggage applies when travelling on NZ tickets operated by SQ. Lounge access is granted for flights departing from New Zealand when on an NZ ticket and operated by either NZ or SQ. Lounge access is only granted to the SATS contract in Singapore when flying on an NZ ticket operated by NZ (no access for Koru members who are on an NZ ticket operated by SQ or MI). For bookings on flights between New Zealand and Singapore, KrisFlyer members will still be entitled to KrisFlyer and Elite miles. However for Air New Zealand operated flights the earning of miles and cabin bonuses will be based on Air New Zealand’s operating fare class instead. Therefore, KrisFlyer passengers may not earn the same amount of miles when they travel on Air New Zealand. operated vs Singapore Airlines operated. 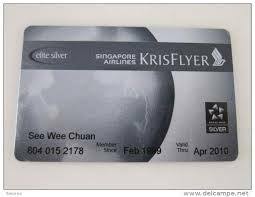 KrisFlyer members will be not be entitled to the 25% tier bonus on KrisFlyer miles, as well as PPS Value, if they travel on Air New Zealand operated flights. Airpoints and Krisflyer members are able to book reward flights with either airline for travel, any additional taxes, levies or surcharges cannot be paid for using Airpoints Dollars or KrisFlyer Miles. Qantas is a member of the Oneworld network of airlines. You will start out as a Bronze Frequent Flyer. The more you fly, the higher your status, from Silver through Gold to Platinum. 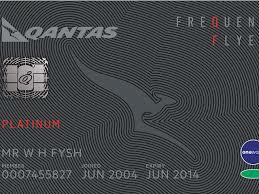 Higher status brings extra benefits, such as more points when you fly, priority check-in and Qantas Club membership. You can earn points on eligible flights and fares with Qantas and over 30 partner airlines and their affiliates (but please note that fare type and rate restrictions apply to the earning of points and status credits on Jetstar, certain Oneworld Alliance airlines and partner airline flights). You can earn more when you fly in Premium Economy, Business and First Class. 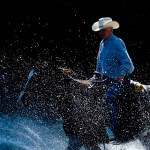 You’ll also earn points with credit card partners and partner hotel and rental car companies. Christchurch-Sydney-London-Sydney-Christchurch travelling in discounted economy earns 14,400 points. To book a free rewards ticket Christchurch-Sydney-Christchurch on Qantas or Jetstar you will need 36,000 points. Emirates has partner airline agreements with Alaska Airlines, Easy Jet, Japan Airlines, Jet Airways, Jet Blue, Korean Air, Qantas, South African Airlines and TAP Portugal. 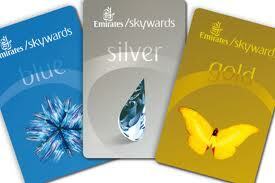 You also earn Tier Miles in addition to Skywards Miles every time you fly with Emirates on any fare type. They cannot be spent and are only used to build up your tier status from Blue, through Silver and Gold, to Platinum. You can easily begin collecting enough Miles to spend on an exciting reward straight away; it’s possible to have enough Miles for an upgrade after just one long-distance trip. As well as reward flights and upgrades with Emirates, you can also spend and earn your Miles on flights with partner airlines, or with partners in hospitality, car hire, finance, lifestyle and retail. Miles are valid for three years. Christchurch – Dubai – London – Dubai – Christchurch travelling in discounted economy earns 12,800 Skywards miles. To book a free rewards ticket Christchurch-Sydney-Christchurch you will need at least 36,000 Skywards miles. QANTAS/EMIRATES ALLIANCE. Both Qantas Frequent Flyers and Emirates Skywards members will earn either Qantas Frequent Flyer points or Skywards miles on all flights on the joint Qantas-Emirates network – with the exception that Skywards members can only earn miles on Qantas domestic flights that are part of an international journey with Qantas or Emirates. Qantas Frequent Flyers can use their points to redeem a Qantas Classic Award flight on Emirates services and Emirates Skywards members can use their miles to redeem a Skywards Saver Reward flight on Qantas services. Many of our clients are members of Krisflyer as Singapore Airlines are one of only two longhaul carriers flying directly from Christchurch currently. It’s actually a very generous scheme as you earn 1 point per mile flown, so a return trip from Christchurch to London will earn you 23,932 miles, and you currently only need 25,000 miles for a round trip on Air NZ (as a Star Alliance redemption) to anyway in the ‘South West Pacific’. The award chart is here. This area includes all of the Pacific Islands except Honolulu and all of the major Australian cities including Perth and Cairns. You can often earn bonus Krisflyer points by booking tickets during the ‘Europe Earlybird’ season from Oct-Dec to get you over that 25,000 threshold, so it’s worth paying for a slightly higher fare than the cheapest on offer (usually $150-200 more) to ensure you get full accrual of miles and the possibility of that fabled ‘free trip’! The points are valid for 3 years from accrual. You can also purchase a ‘top up’ of miles if you don’t quite have enough. Redemption of Krisflyer miles on Air NZ flights can currently only be done via their call centre in Singapore, and you need to book well in advance (think 9+ months) to secure the Star Alliance redemption seats as they are very limited – I’d recommend being flexible with your dates and times of flights and avoiding school holidays. You still need to pay the taxes on the ticket, but getting a ‘free’ ticket to somewhere like Fiji, Samoa, Raro, Papeete, Cairns or Perth for those who can get organised well in advance is worth considering! Just to confuse things further, most airlines’ frequent flyer programmes are linked to an ‘alliance’ with a group of other airlines that allows you to earn and redeem points when travelling on another airline in the group. Also these airlines may have separate agreements with other airlines not in their specific alliance because of a code share agreement. There are 27 Star Alliance member airlines including Air NZ and Singapore Airlines – they are Adria Airways, Aegean Airlines, Air Canada, Air China, Air New Zealand , ANA, Asiana Airlines, Austrian, Avianca, Brussels Airlines, Copa Airlines, Croatia Airlines, EGYPTAIR, Ethiopian Airlines, EVA Air, LOT Polish Airlines, Lufthansa, Scandinavian Airlines, Shenzhen Airlines, Singapore Airlines, South African Airways, SWISS, TAP Portugal, THAI, Turkish Airlines, United, US Airways.If you belong to a frequent flyer programme with any of the Star Alliance member airlines and fly with another member airline you can earn and redeem miles or points on one frequent flyer programme. So for instance, if you’re a member of the Lufthansa Miles & More Frequent Flyer Program and you travel with Singapore Airlines, you’ll automatically earn miles on your Lufthansa Miles & More account. Has 17 member airlines, including Qantas. If you are a member of Airberlin Topbonus, American Airlines AAdvantage® Program, British Airways Executive Club, Cathay Pacific Marco Polo Club, Finnair Plus, JAL Mileage Bank, Iberia Plus, LANPASS, Malaysia Airlines Enrich, Qantas Frequent Flyer, Royal Jordanian Royal Plus, S7 Priority or TAM Fidelidade your rewards and privileges are extended throughout the Oneworld® alliance.You will earn miles in your own programme whenever you travel on eligible flights and fares of any Oneworld alliance airline. Qualifying flights will also count towards advancing or maintaining your tier status. And, when you are ready to redeem your rewards, you can do so across the alliance’s worldwide network, with some 850 destinations across the globe. Members of each Oneworld alliance airline are able to earn and redeem miles with their airline partners. Not particularly useful, as none fly to Christchurch yet! However, there are 20 SkyTeam member airlines: Aeroflot: Aeroflot Bonus, Aerolíneas Argentinas: Aerolíneas Plus, Aeromexico: Club Premier, Air Europa: Flying Blue, Air France and KLM: Flying Blue, Alitalia: MilleMiglia, China Airlines: Dynasty Flyer Program, China Eastern: Eastern Miles, China Southern: SkyPearl Club, CSA Czech Airlines: OK Plus, Delta Air Lines: SkyMiles, Kenya Airways: Flying Blue, Korean Air: SKYPASS, Middle East Airlines: Cedar Miles, Saudi Arabian Airlines: Alfursan, TAROM: Flying Blue, Vietnam Airlines: Golden Lotus Plus, Xiamen Air: Egret Club.SkyTeam does not have a separate SkyTeam frequent flyer programme, but when you are a member of the frequent flyer program of any SkyTeam member airline you can earn and redeem frequent flyer miles on all carriers in the SkyTeam alliance through that account. You’ll earn frequent flyer miles toward Elite status and enjoy a range of SkyTeam benefits each time you travel on a qualifying SkyTeam flight.